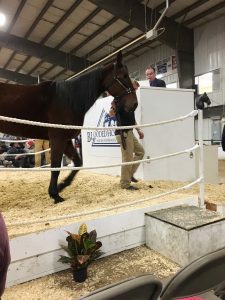 For the first time in decades, the annual Blooded Horse Sale has been held at the Delaware County Fairgrounds in Delaware, Ohio. This year, the sale was moved to the Champions Expo Center at the Clark County Fairgrounds in Springfield, Ohio. 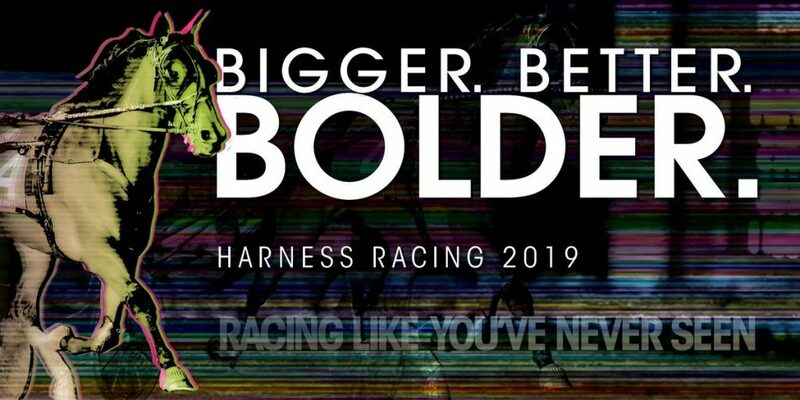 Three days of sales were conducted Tuesday, Nov. 13 through Thursday, Nov. 15 with 833 entrants from yearlings to breeding stock. 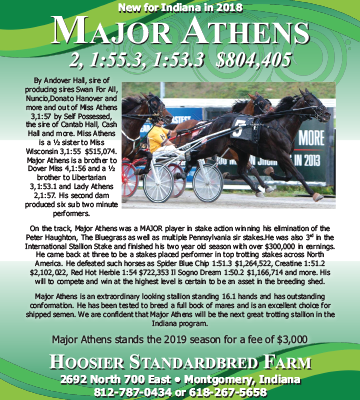 Several well-known horses from the Indiana racing circuit were in the sale. Numerous Indiana trainers had entrants in the sale, including race horses from both the Don Eash Stable and the Robert Taylor Stable. Horses from the Eash barn ranged from older veteran horses such as A True Rock Star and Great Moves to Indiana fair circuit contenders Go Gabby Go and Rose Run Toni. Rose Run Toni garnered the highest price of the Eash lot, selling for $26,000. 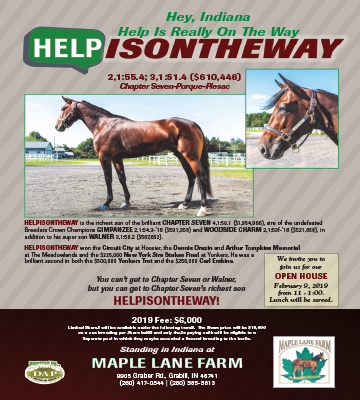 Taylor had 10 entrants in the sale, including College Krystal, the Mr Cantab trotting filly who competed mainly on the county fair circuit and River Otter, also by Mr Cantab. River Otter brought in the highest price of the Taylor group, fetching $31,000. 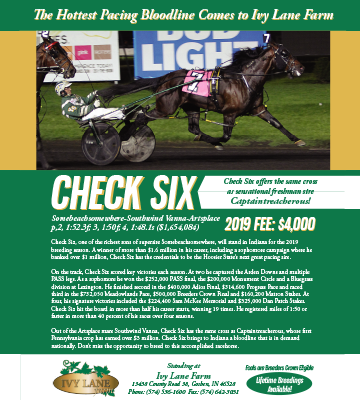 Horsemen will have another opportunity to snag some prospects for 2019 at the Midwest Mixed Sale Friday, Nov. 23. 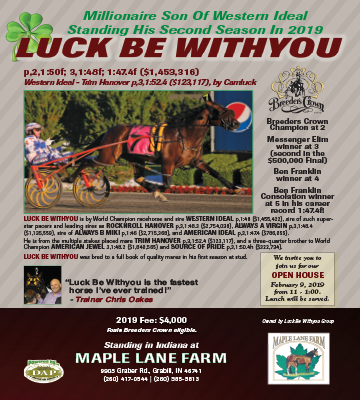 The sale will be held at Shipshewana’s Michiana Event Center and will be followed on Saturday, Nov. 24 by the Michiana Classic Yearling Sale, featuring 224 Indiana sired prospects.